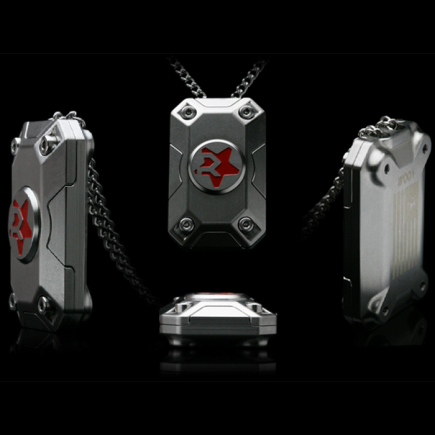 Rogue Design | 1'800 € Tax inc. 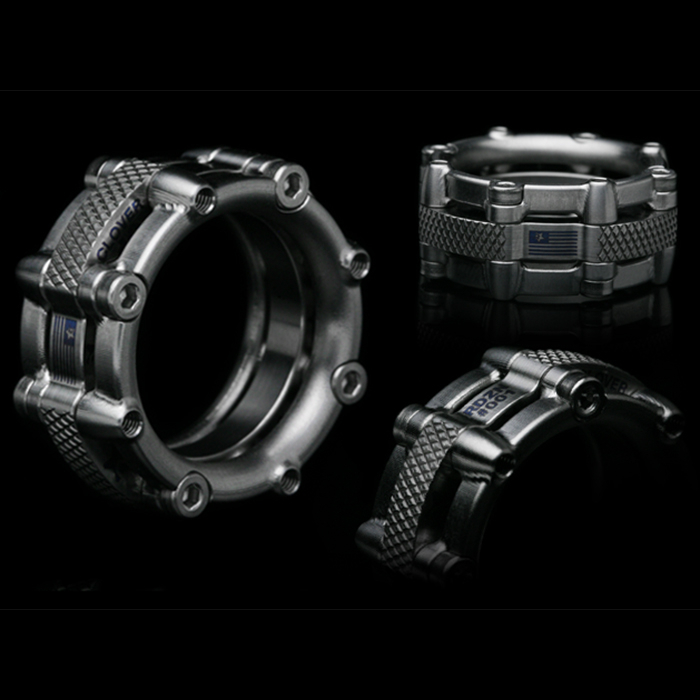 Daring to use forms the jewelry world has not even hinted at thus far, the Rogue Clover, #2 in the Soulmate series, is a three-piece modular Mil-spec G5 titanium ring. 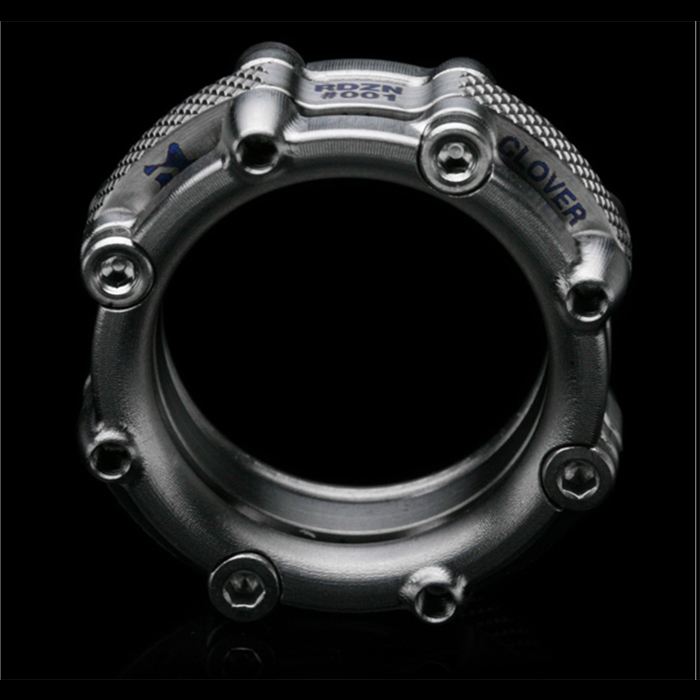 Two identical machined outer rings compress a center insert, uniting three parts into one unyielding assembly. 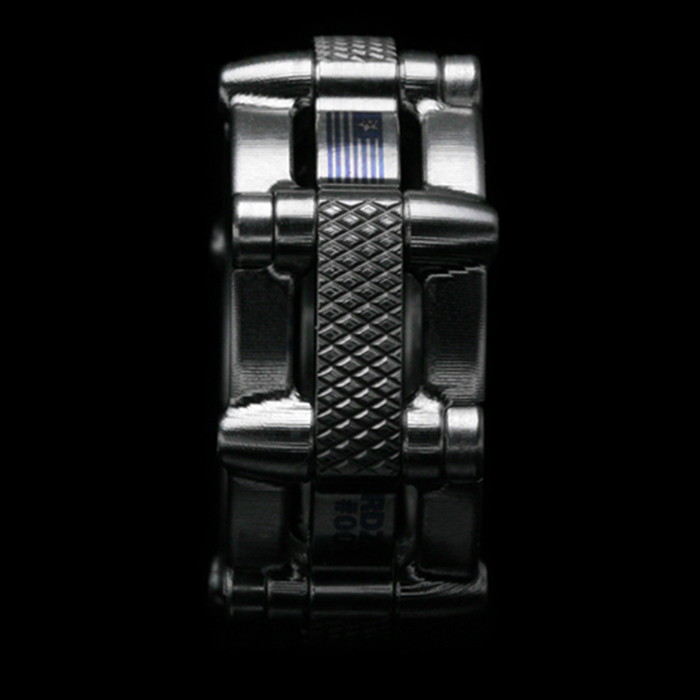 The piece features a 4mm clover shaped insert with radial exterior knurling, etched graphics and a unique serial number. Each size of the Clover has a suicide number of 10.